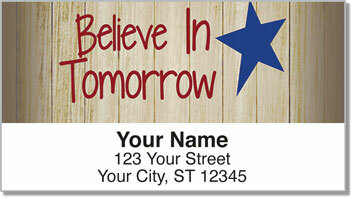 Our Country Encouragement Address Labels feature a background of rustic planking adorned with inspirational sayings, hearts and stars. 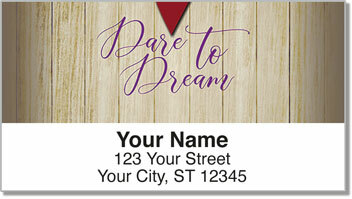 These high-quality self-adhesive labels offer words of wisdom in a variety of charming fonts. 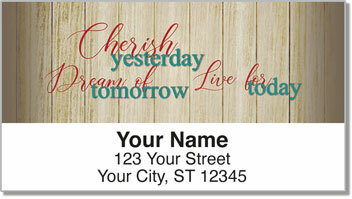 A terrific home office accessory, our personalized stickers are useful for identifying more than just letters. Affix one to the inside cover of the next book you loan, for example. Everyone needs a few words of support now and then, so why not share your cheery outlook every time you put a letter in the mail? 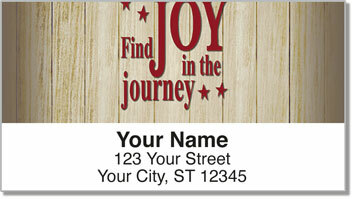 Buy your very own Country Encouragement Address Labels and matching personal checks now!